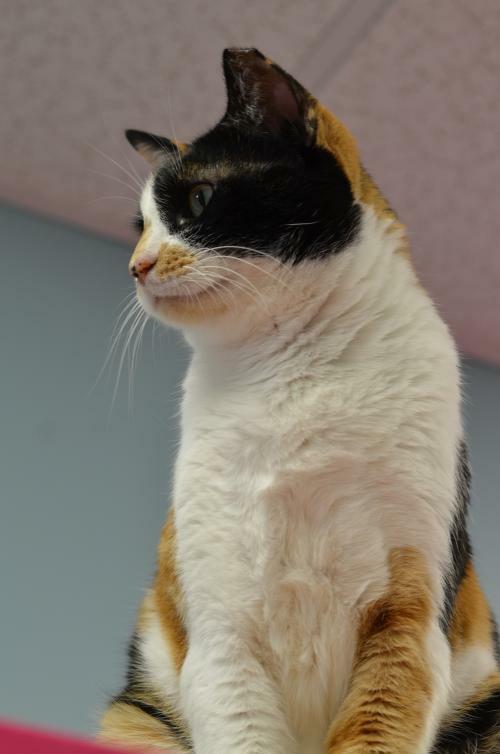 Barca is a gorgeous girl with a calico coat who is FIV+. Since starting life in Dubai, Barca was happy to reach her new chance at a good life in America. She is enjoying her time living at our shelter in the FIV suite. 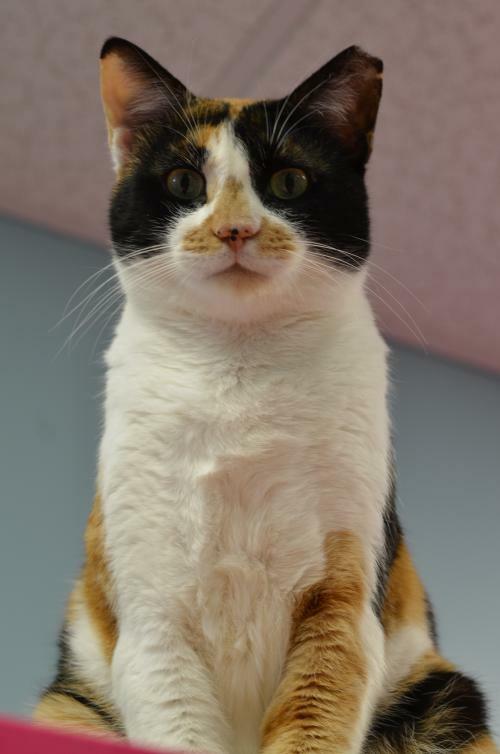 But she would love to find a forever family to call her very own. Barca wants to be your ONE and ONLY true kitty love. She is not a fan of other kitties at all, but she loves people! This sweet girl has such a cute black and pink spotted nose! She would love to get the chance to meet you - fill out an application today!